Before named as the country’s brightest, several individuals are first locals of this quaint town. It is as if Iloilo has taught its people the value of dreaming and working hard for those dreams, the Injap Tower Hotel is a testament. The owner of the Injap Tower Hotel is the same man who gave birth to the famous Mang Inasal food chain, Injap Sia. Just like Injap Tower Hotel, Mang Inasal was found in Iloilo as a modern take of the local dish, Chicken Inasal. Now standing as the highest tower in Western Visayas, the Injap Tower Hotel is easily spotted from a far. Just a stone’s throw away from SM Iloilo and right next to a chain of restaurants and cafes, the hotel makes it hassle free for one to hop from one point to the next. 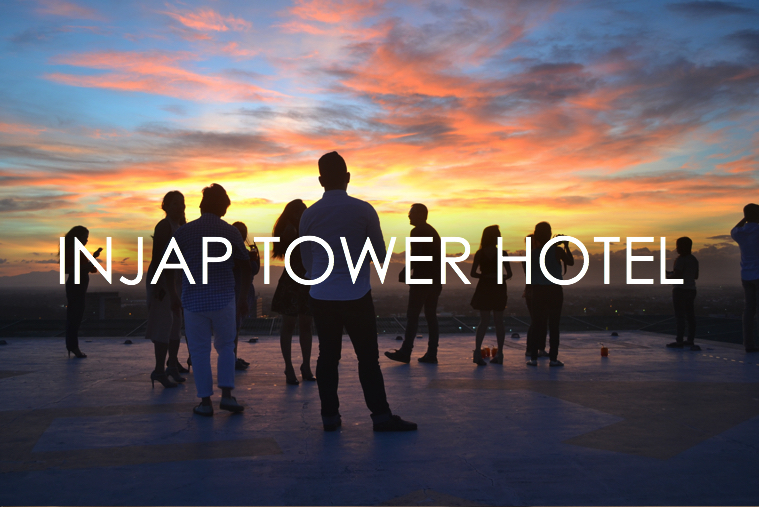 The concept behind the Injap Tower Hotel is fascinating. Once you’ve been to one room, it is as if you have been to every room inside the 21 floors of the tower. The hotel has a single design, layout and structure for all the rooms. Each quarter is composed of a double and a single bed en suite, perfect whether you are alone, in twos or among a group of three. A mini bar complete with a microwave inside the room is exactly what I need for a few days stay while a fitness center and an indoor pool completes the hotel experience. As a no-frills hotel, all the extra costs are trimmed down so you are guaranteed with a pocket-friendly rate while still enjoying a remarkable stay. The color palette mixes a combination of white, green and yellow – a blend that exudes a refreshing vibe, paired with fresh sheets and a rather new toilet room. There is a specific glow that makes the room very vibrant and radiates such a good mood. To me there seems nothing to grumble about and even if there was, the staff is on standby to make the experience as seamless as possible. Aside from the rainshower inside the room's toilet, the hotel also offers a unique swimming experience with a close view of the SM City Iloilo. This is probably the closest you could swim to a mall! Being a towering structure, one can expect to get a breathtaking view of the entire city but the best way to experience an unobstructed view is the Horizon Café at the 21st floor. The Horizon Café has received a new revamp and there couldn’t be any better time to lift its brand than these moments when the city is on a bloom. As the highest restaurant in the city, Horizon Café offers not only a delightful serving of your comfort food but the chance to devour on good food while throwing a sight at such a scenery. Horizon Café’s all day dining theme allows both in-house guests and visitors to enjoy an array of international food and concoctions that must not be missed. It is such a pleasing spot to add some exciting twist to your conversations. The most fascinating thing about the Horizon Cafe other than being the highest restaurant in all of Western Visayas is that how they are able to transform familiar dishes into an exciting feast. After a long day, sometimes all we want is to enjoy good food without the hassle of choosing from an overwhelming menu, menus that usually scribe highfalutin description, Horizon Cafe makes it simple and just offer you the great food you deserve. Consistent in every floor and even before you step in, Injap Tower Hotel offers an invitation to experience an institution that is not just a branch of a hospitality conglomerate brand, yet it is at par with the services the latter provide. The hotel prides itself not only for an outstanding amenities, but as the pillar of Iloilo's hospitality industry, they represent more than anything else, the endearing people of Iloilo.